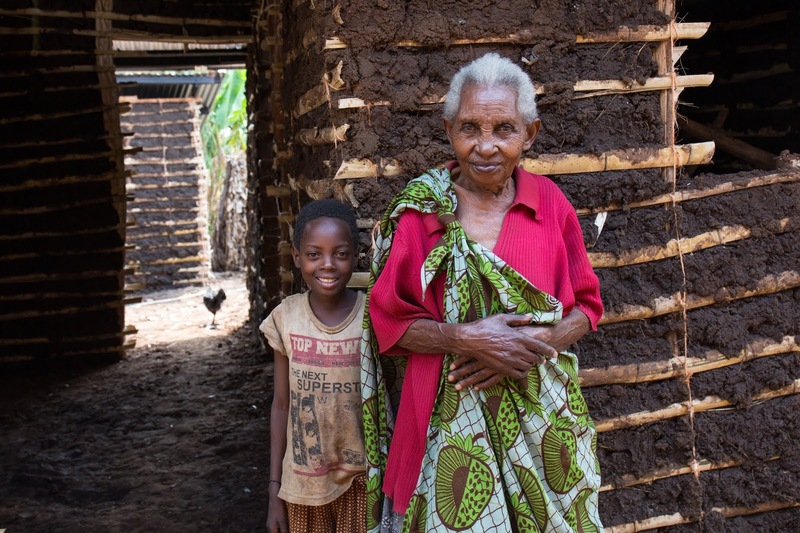 Bernadette is a 92-year-old widow from Kanungu district, and she owes her life to you. She is no stranger to loss. Seven of her ten children died from long illnesses. Now Bernadette is raising two of her grandchildren, four-year-old Elizabeth and nine-year-old Justine. Bernadette was overwhelmed with her new motherhood, so she was relieved when one of her daughters came home to live with her, bringing her own 15-year-old daughter, Ruth, with her. Even with two mothers to support them, the family was struggling to get by. The roof of her house was leaky and ready to cave in on them. Her kitchen was dangerous and unusable during the rainy season. Her pit latrine was nearly overflowing, a serious health risk. Bernadette was constantly afraid for her family’s safety, but she had no way to repair the damage. Because of your generosity, Bernadette received a new house, kitchen, and pit latrine in 2017. Your generosity brought her to tears. She could hardly believe what you did for her. Her life and the lives of many grandmothers like her are forever changed because of you. On behalf of Bernadette and her family, thank you for your compassion! This story was featured in Nyaka's 2017 Annual Report. You can read more about the great work you made possible in Uganda in 2017 by clicking here.